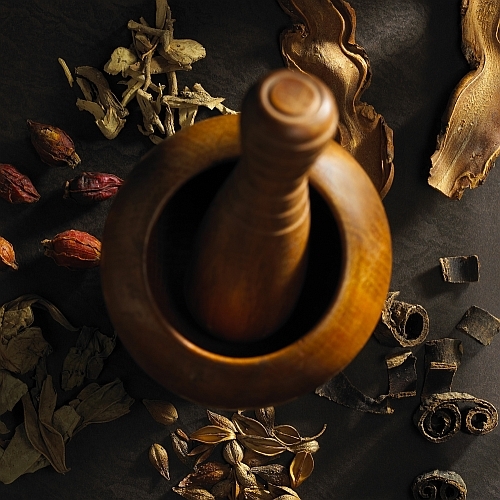 Herbs and herbal formulas are the pharmacy of Chinese Medicine. Plant medicine and humans have co-evolved over time to benefit each other, and in the hands of a skilled and trained practitioner, herbal medicine can be as or more effective than some drugs, with fewer to no side effects when aptly applied and taken according to directions. Herbal medicine is to be respected, certain herbs are not compatible with some medications, and the wrong formula at the wrong time can actually exacerbate symptoms. Certain formulas however, are no more harmful than foods that you eat, albeit in concentrated form and similar in action to western supplements. Your herbal practitioner is educated in all aspects, and will not overstep her medical knowledge in this area. Referrals are given if appropriate. The world of herbal medicine is exciting and vast, and can be the perfect complement to your acupuncture treatment or massage to promote your body’s natural healing process!